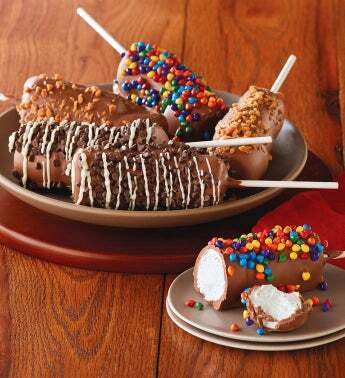 Thrill the dessert lover on your list with hand-crafted chocolate-covered marshmallows. Each stick holds a trio of marshmallows that are dipped by hand in velvety Belgian milk chocolate and artfully decorated with premium toppings and nuts. The sweet treats arrive in an elegant gift box, making this a marvelous gift for friends and family.